Not using the digital marketing plan? Then you are losing out. This is true for businesses of any size and shape in the present scenario. Traditional marketing is not as effective as it used to be especially for the automotive industry. Consumers are developing the habit of researching across digital channels before choosing the best one to buy. The automotive industry is one of the biggest industries, and there are manufacturers and retailers in this sector who can use digital marketing to stand out. Why is digital marketing important for the automotive industry? The use of digital media is increasing over recent years. Consumers are more dependent on the internet when it comes to researching and purchasing products. Though the actual purchases and sales happen in dealerships, the research is mostly done on the internet. A huge amount of content is available online from product specifications to reviews, product comparison. The consumer almost decides before he pays visits to the dealerships. The Internet is now the source of information for car buyers. Studies reveal that more than seventy percent of the people who researched for information about automotive on platforms such as YouTube are influenced by what they watched during the car buying process. The popularity of a vehicle on various social media platforms is one of the factors that are influencing the consumers. Digitalization is one of the challenges for the automotive industry. Consumers are using the internet during their purchase journey for researching about the vehicles. They get to access the reviews, specifications, reports, etc.This empowers the consumers who should not be taken it easily. The automotive industry needs to meet the expectations of the consumers. Here are the challenges that they need to be tackled. There is a prolonged growth of a strong digital marketing strategy for the automotive industry. Surveys showed vehicle buyers perform research online to see different options to gather vital information and comparing the products. Instead of visiting many dealerships, they compare the products on their computers. Dealership websites must provide the information to the consumers that help them make confident purchase decisions. They should not miss this opportunity. 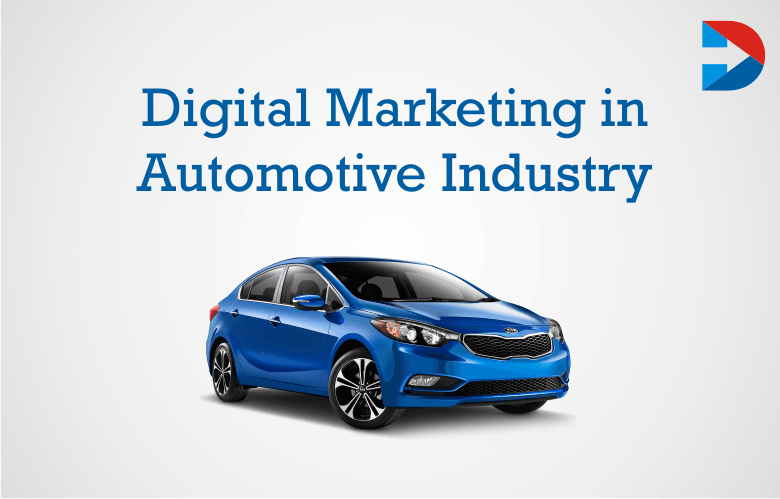 Automotive industry must take advantage of digital marketing and reach their target markets. How can Automotive Industry Benefit from Digital Marketing? People are going online for every little thing. Like any other industry, the automotive industry also can benefit immensely with digital marketing. Here are some areas in which digital marketing can help the automobile business. Brand reputation is very crucial for the automotive industry. People rely on recommendations more when buying a vehicle. Good reviews and a word about carefully handling customer support can help to make sales. This can be achieved through online reputation management. People are spending more time on social sites such as Facebook and Twitter discussing automobile purchases and tips also. Having an own voice on these platforms where there are many potential customers can help the brand to increase their brand awareness by interacting and connecting with them. Every automotive brand should have a strong presence on search engines. They must ensure that for buyers searching with generic keywords must be able to find the website of the landing page easily. Search engines should rank the site higher so that people will be able to see it easily. Focusing on SEO can help to achieve this. Before launching a product, it is wise to understand the demands and needs of the people. Interacting and connecting with the people on social media platforms helps get feedbacks and suggestions which will be useful to launch products that fit the demands of the market. Digital marketing is cost-effective. It is possible to reap huge benefits by spending less on digital marketing. The primary goal of digital marketing is to gain maximum returns on investments. An online presence can help reach more potential customers, and this can increase conversion rates. Online presence also can help the automotive entrepreneurs or marketers to monitor the strategies of competitors and plan their strategy accordingly. Automakers can also use the online presence to celebrate their milestones with existing customers on digital platforms. It is easy to connect with a large number of customers on social media sites. Digital marketing also allows addressing and reaching niche customers. It has become the new set of advertising module to choose audience based on demography. The automotive industry is using different digital platforms such as Instagram to help users choose the best vehicle for their needs. Studies revealed that there is an increase in the number of buyers who prefer to buy a vehicle online instead of from dealerships. Thus automotive companies are using augmented reality, and virtual reality demonstrates the features and specifications of their products to potential customers. Audi, Volvo, Hyundai, and other companies are effectively using digital marketing to increase their brand awareness and to reach potential consumers online. In the automotive industry, there is a need for dealerships to increase the sales of automotive and be ahead of their competition. Digital marketing helps them to target the modern consumers and to connect with them digitally. Digital marketing is not a new concept. More than sixty percent of the marketing is investing in digital marketing. The automotive industry also must under the needs of the consumers buy effectively using digital marketing and take their business to the next level.